Tom Holland is 22 years old. The English actor reportedly weighs 64 kg or 141 pounds and has a height of 5’8″ (173 cm). His workout includes full-body and abs exercises, which help him maintain a 39-13-31 fit body. In 2019, Tom Holland will be seen flexing his muscles in Spider-Man: Far From Home. Best known for: Playing the title role in Billy Elliot the Musical (based on the 2000 film, Billy Elliot) at the Victoria Palace Theatre in London from 2008 to 2010. Tom Holland’s abs were also on full display in the Spider-Man: Homecoming trailer. Needless to say, Holland needed a pretty intense superhero workout to get in shape to play Spider-Man on the big screen. Let’s take a look at Tom Holland’s intense workout for Spider-Man: Homecoming. Tom Holland’s training regimen also includes something called electronic muscle stimulation, or EMS. It works by sending low-level electrical currents through the body to stimulate muscles, which helps build, tone, and strengthen muscles. Holland is a client of the gym, Body Shape Studios, which utilizes the EMS method. The machine focuses on specific body parts and sends pulses that contract the muscles 80 times per second. It is really intense and the body needs a few days to recover. It is not clear whether EMS will become popular in the U.S.; however, the technology has clearly improved Holland’s fitness. Holland says his friends think he’s cheating, but like all training methods, it takes a lot of work. Tom Holland’s popularity clearly rose with his role in Spider-Man: Homecoming. The young actor is also known for the title role in Billy Elliot the Musical at London’s Victoria Palace Theatre, The Impossible (2012), How I Live Now (2013), In the Heart of the Sea (2015), and 2016’s Edge of Winter and The Lost City of Z. Holland also appeared as Spider-Man in 2018’s Avengers: Infinity War. 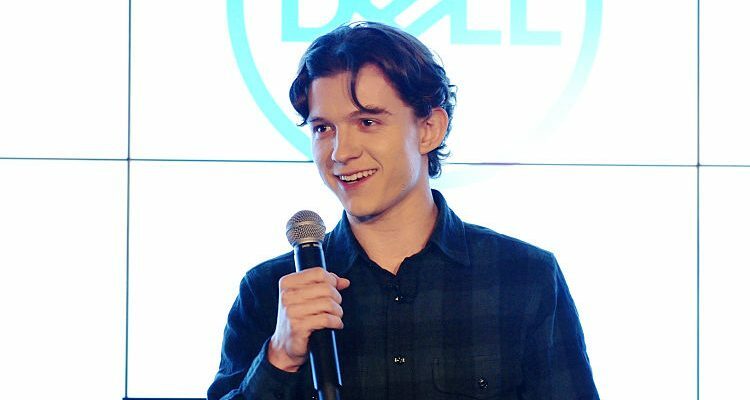 His upcoming films include Spider-Man: Far From Home and Chaos Walking in 2019.